We are super excited as we prepare to Busk our way through the Olympics! Our home town of Weymouth on the South Coast of England is host to the Olympic Sailing and the whole town is buzzing with anticipation! We have the pleasure of having 37 programmed slots to busk in over the 2 weeks! BUSY! We have been gathering our equipment and exerting our resourcefulness so we are as portable as possible! 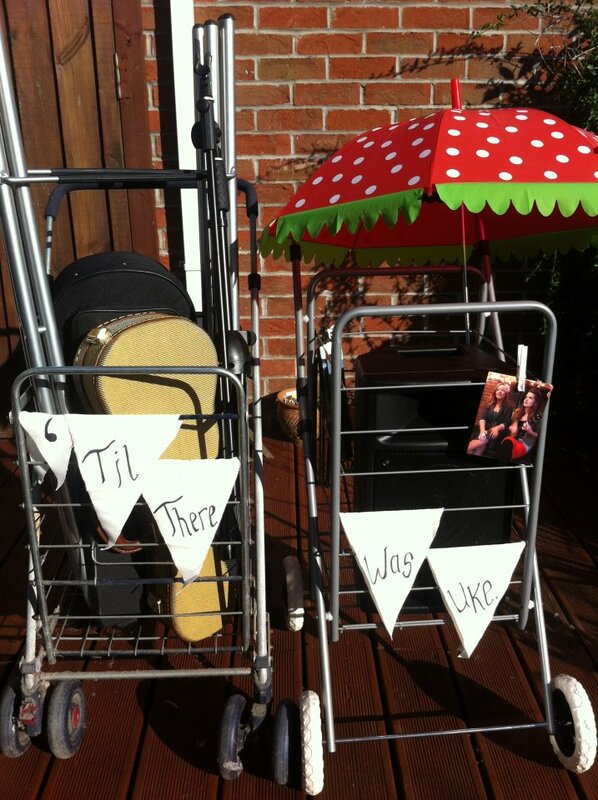 Our busking trolleys ready for our epic fortnight of performances!